The Gala Awards, with the sponsorship of the Biennial of Fine Art & Documentary Photography invites pro and non pro photographers worldwide to submit images to 13th Edition of The Pollux Award. This Award is open to photographers, professional and amateur, working in all mediums, styles and schools of thought. Traditional, contemporary, avant-garde, creative and experimental works that include old and new processes, mixed techniques, and challenging personal, emotional or political statements will be welcome. 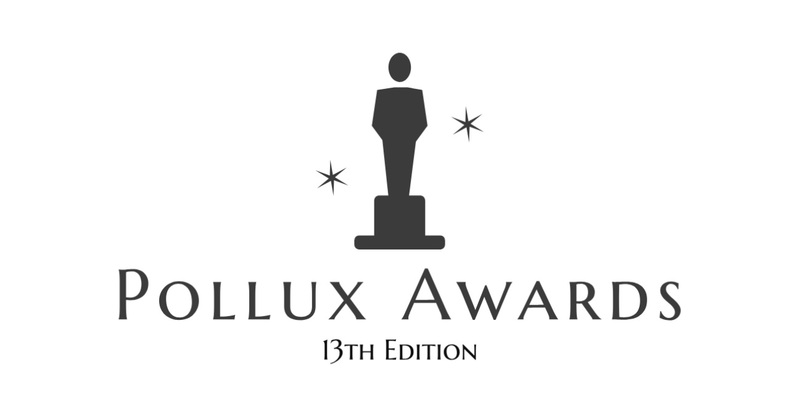 The Juror of the 13th Pollux Award will select one Winner in the Professional Section and One Winner in the Non-Professional Section. The Gala Awards will organize a solo exhibition for each of the above mentioned overall Winners in the respective sections (Pro and Non Pro) taking care of all exhibition expenses, including printing and framing of up to 20 photographs each. The exhibition will be held in the Valid Foto Gallery in Barcelona on October 2019. The organization will have the right to change the venue and date in case of unforeseen circumstance. A curator designed by The Gala Award will assist the Winners in the selection of the work to be exhibited and will take care of the exhibition setup. The two overall winners in the Pro and Non Pro sections will receive -on top of the fully-paid solo exhibition- US$1,500 each to cover travel and lodging expenses to attend the opening reception. Collective exhibition of category winners and category honorable mentions: The Jurors will also select, in both Pro and Non-Pro Sections, runners up and honorable mentions, as well as a shortlist of finalists. All these selected photographers will be invited to exhibit (with the category winners) in a collective exhibition in a space contiguous to the solo exhibition of the two the overall winners. In the collective exhibition, the exhibition organization and venue costs will be borne by The Gala Awards, while the exhibitors will be charged for printing and framing as well as setup costs (hanging, labelling, and insurance) in the amount of $280, approximately, per piece. To participate in the exhibition artists will have to be able to submit high resolution files of 300dpi suitable for fine art printing. Images of all awardees (Winners, Runner Ups, Honorable Mentions, and Finalists) will be exhibited online in The Gala Awards' website during a minimum of two years. Open to photographers worldwide, pro and amateur, working in all mediums, styles and schools of thought. All submitters warrant that they own the work submitted and that they have the exclusive copyright. The Gala Awards recognizes that the author retain full ownership of the image copyright. Submitters warrant that their photographs may be reproduced for the purpose of marketing and promoting The Gala Awards’ competitions and Awards, as well as in catalogues, posters, postcards, publications, and on the Internet. Such use is granted for no more than two years after the announcement of the works selected in this competition. Such use is granted without any payment to the photographer or featured models. Photographers will receive credit with each use, and allow The Gala Awards to sublicense their photographs to the press for reproduction in connection with The Gala Awards’ competitions and awards. The Gala Awards has the right to reject and remove any entry that contains defamatory, racist, obscene or pornographic content, or that may be considered a criminal offence or violate any law.